This page is a starting point for the Linux4SAM offer and allows you to easily get a running embedded Linux distribution on AT91 products. 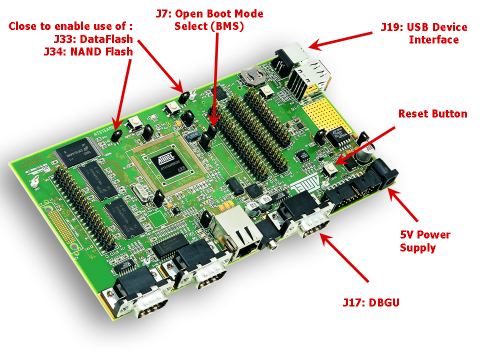 Several pieces of software are involved to boot a linux kernel on SAM products. First is the ROM code which is in charge to check if a valid application is present on supported media (FLASH, DATAFLASH, NANDFLASH, SDCARD). Boot Program - ROM Code - Checks if a valid application is present in FLASH and if it is the case downloads it into internal SRAM. 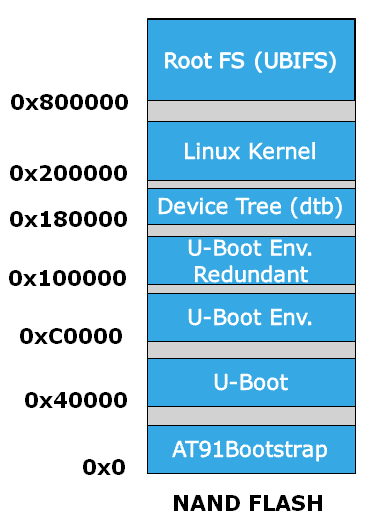 For more information on this topic, please check the Boot strategies section and particularly the Boot capabilities matrix. 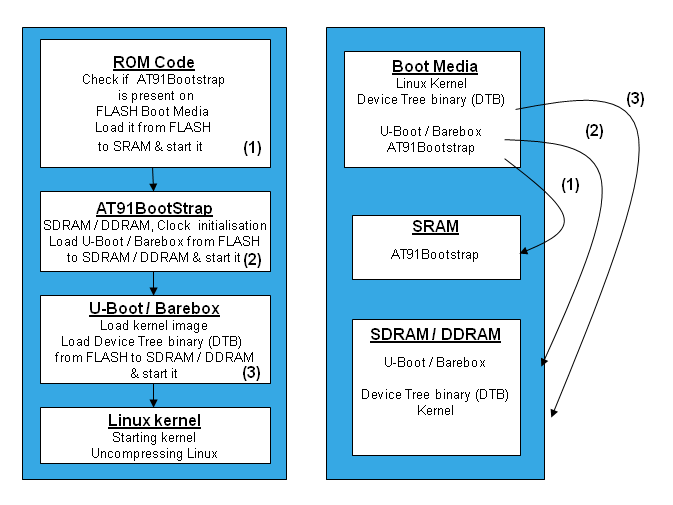 U-Boot or Barebox - The bootloader, in charge of downloading kernel binaries from FLASH, network, SD card, etc. It then loads the Device Tree Binary and starts the Linux kernel. Linux kernel - The kernel of the Operating System. 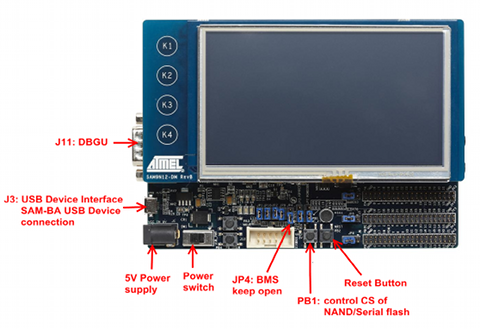 a .bat or .sh script able to run the flashing script calling SAM-BA itself. Then you will have to choose the proper procedure depending on the Evaluation Kit that you have. Note however that the procedure is extremely similar whichever EK board you may choose. 1 : *AT91SAM9x5-EK*: common board for every AT91SAM9x5 chip in the family. 2 : *AT91SAM9N12-EK*: common board for every AT91SAM9N1x, AT91SAM9CN1x chip in the family.